How To Display Your Profile Image Right In Custom Google Search? If you are looking for your Author Profile Image to appear in Google search result, that’s a great idea and a step towards perfection. Many times we see profile image in Google search results. 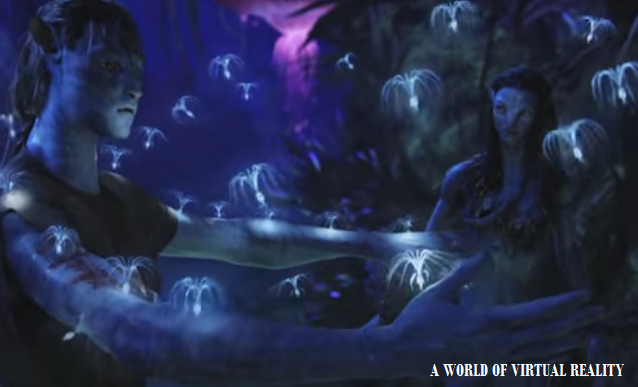 This is the image which is present in their Google Plus profile and linked properly to the site. Profile image will surely attract more number of people from all over and help increasing traffic on your website. Let us see how to do that. 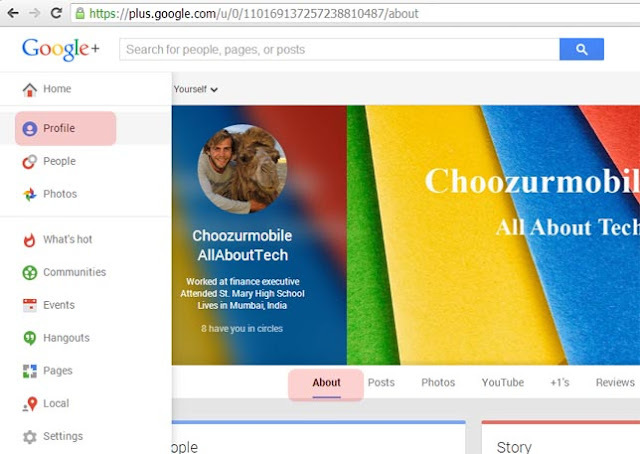 A Google+ Account and About Us or Author’s page on your Blog. Mostly you should have these things already available. In Fastest way you can go to Google’s own site and enter your email address to get authorized for the content you wish to. But to ensure and in some cases, you may need to follow simple manual inputs on your blog which are discussed in Method 2. 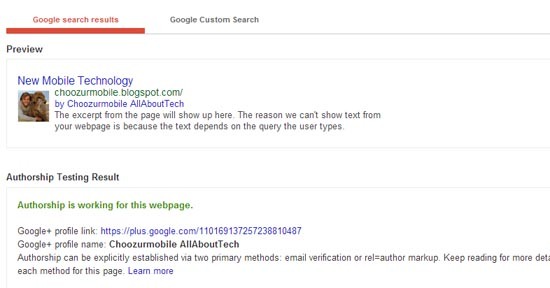 Simply enter your legal email address on Google website to connect your profile to your website content. After clicking Sign up for Authorship you will receive an email for confirmation and you will be authorized for your content. Method 2: Manually entering rel=’author’ and rel=’me’ attributes on pages. 1. Add below script codes at footer or sidebar on your blog. This will ensure your authorization for the website content. 2. Go to About or Author's bio page and add below link anywhere. 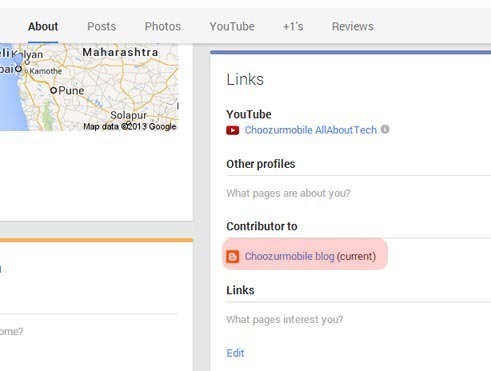 Change YourG+ ID with your Google ID and G+ Profile Name. You can put any G+ Profile name. 3. 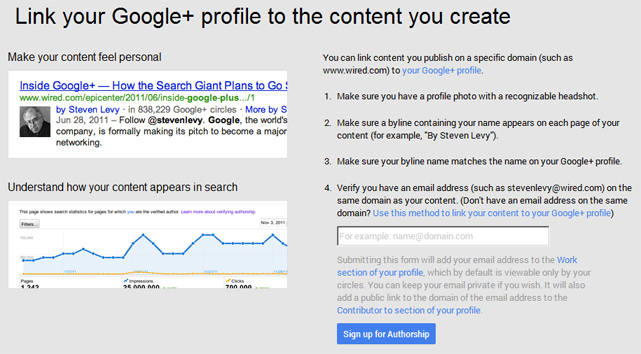 Now Go to Google+ Account > Edit Profile > Add your blog link to "Contributor to" List. 4. Make sure you have added your required image as Profile Picture to Google+ Account. Picture size of 160px by 160px will fit excellent and make great difference. 6. How to Confirm the change? If you have followed above steps, the Google Rich Snippet Tool will show you results with your uploaded image right next to blog details. You are all set to go with your site getting indexed with your amazing profile picture.